Saint Patrick’s Day is on March 17th (which falls on a Thursday this year), a holiday long associated with luck, fun and Irish tradition. Customarily, Boston is just the place to celebrate the festivities, often hosting thousands of visitors who sit, drink and be merry within one of our many local pubs. Granted, the green beer is fun but did you know that alcohol was originally banned on the holiday, forcing restaurants and bars to be closed? This is just one example of the trivia and customs associated with Saint Patrick’s Day that few even know about. Test your Irish history and see if you’re aware of these true facts about an authentic Saint Patrick’s Day celebration! Saint Patrick was not from Ireland, as many believe. He was originally born in England and was captured, then enslaved to Ireland as a sheepherder. Once he escaped, he returned home to become a priest and then travelled back to Ireland to pass on his teachings. The story about Saint Patrick chasing the snakes out of Ireland is almost impossible to be true according to experts from National Geographic. These slithery critters are almost never seen in this area because the geographical composition is post glacier. The official Irish color is not green but is in fact BLUE! Most of Ireland is not as lush as most people believe accept for the Emerald Isle. The blue is significant because it is the shade featured in many of the country’s flags. Even though the four-leaf clover is a wonderful find since they are extremely rare, they are often misconceived as the country’s symbol. The harp is actually the official logo of Ireland, although clovers remain the more popular notion. Corned beef and cabbage might be the sought after dish on the menu this holiday but did you know that bacon was actually the original protein cooked during this holiday? Because many settlers who came to America could afford so little, this inevitably led to a substitution using a cheaper product than pork. Saint Patrick’s Day is quickly approaching and my son is already becoming excited with the hope that he might be able to catch a Leprechaun, a tradition which he attempts every year. The fascinations surrounding these miniature faeries of Irish folklore have been cultivated and celebrated for generations. Due to the magical and mysterious nature of these tiny spirits, they have become the most honored icons for the luckiest holiday of the year! Children everywhere are plotting their contraptions to snare these mischievous imps in order to find their pot of gold at the end of the rainbow. But is that all to really know about Leprechauns? This Saint Patrick’s Day, why not give our kids a little history lesson about these mythical men and pass along the fun and fantasy that this Irish folklore celebrates. Leprechauns are one of the oldest faeries depicted in Irish literature and date back even before the Celts were introduced between 800 and 400 BC. They are the direct relatives of the Clurichauns, specifically cousins who although are similar in nature, are known less for mischief and more for destruction that they cause through the night after heavily drinking. 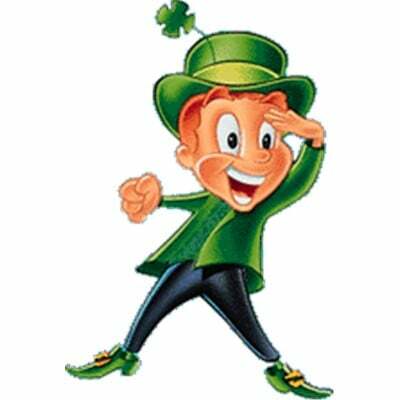 Leprechauns are very small in size and can be compared in height to a matchbox car or child’s action figure. Attire consists only of a hat, green suit and buckled shoes with the occasional pipe as an accessory. They are unique in their profession because unlike other Irish faeries, they are the only mythological creatures that are shoemakers. The reason for this is known through their love of dance and music. Legend says that the little men are quite talented in the musical realm having been able to master authentic Irish instruments such as the harp, whistle and fiddle. After enjoying a social gathering of moonshine with friends, Leprechauns would religiously break out into song, playing music and dancing into the wee hours of the night. Because of this passion, the faeries found it imperative to always have proper shoe ware thus bringing about their analogous trade of cobbles men. Leprechauns are the trickiest and sneakiest figures of any folklore in the world and have to this day, never been caught by any human. Each sprite has gathered an opulent assortment of riches that are said to be valued so precious, that the gods have granted them powers to protect it. Commonly hidden in the countryside of Ireland, a Leprechaun has the capability if trapped to grant his captor three wishes although more of the time he will vanish before your eyes into thin air. Places to be careful to look are underneath hollowed logs or trees where they have made their home. If you do happen to catch yourself a Leprechaun, be weary when he begins to scream, tantrum and cry. You might think its because you have found his gold but really, he’s thankful that you haven’t found the other squandered treasures that are hidden close by! So you might think that Saint Patrick’s Day is all about the corn beef cabbage, beer and wearing the color green but Bostonians are learning that the upcoming holiday has much more to offer in celebratory terms! Historically, this date marks several themes including religious and regional pride for the Irish culture. But did you know that March 17th also holds tremendous significance with the celebration of seasonal changes placing importance on the new growth that arrives with warmer weather? It’s true and the proof dates back to centuries ago when part of the celebration included planting the first seedlings of spring. 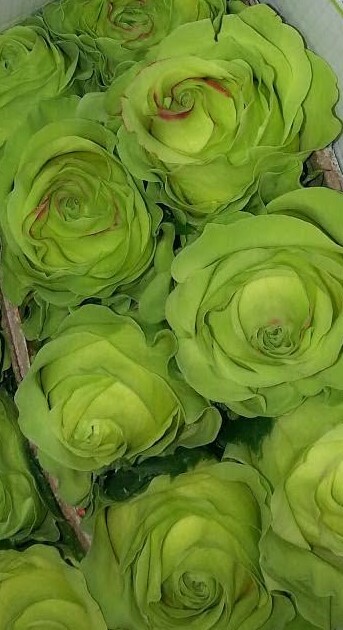 Because of this, there is an increase of attention building on the agricultural industry for Saint Patrick’s Day and lucky for us, the heightened demand for fresh cut flowers. 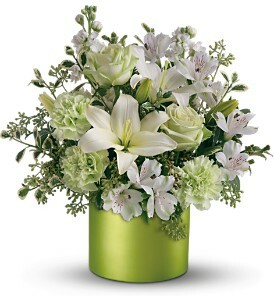 Of course, the flowers that are requested aren’t just any spring blooms that we might be carrying in our coolers this month but ones of course that emulate the theme, tradition and of course, colors of Saint Patrick’s Day. 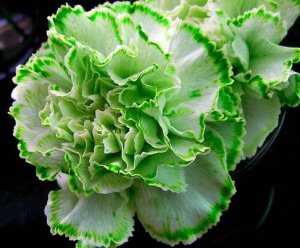 Now I can tell, you are rolling your eyes and thinking, “Not another year of dyed green carnations” although we are all knowledgeable of the fact that they are one of the biggest sellers in March. No, you’ll be surprised that there is a greater opportunity for florists to widen their selection of flowers for holiday bouquets and centerpieces that are both creatively designed and contemporary. Take a look at these popular blossoms and see if they fit your bill for a flower infused Saint Patrick’s Day. I love Bells of Ireland because of their dynamic shade of brilliant green and the name, which couldn’t get any better, for March 17th orders. Appearing with a long spike with follicles resembling bells, these stems make design easy because of their durability, low cost and longevity when used in both fresh water vases and oasis. Having the Latin name, Moluccella laevis, customers will be pleasantly surprised by the beautiful fragrance, which emanates the theme of freshness and springtime. Bells of Ireland also hold multipurpose because they can be dried by hanging upside down or replanted in gardens once there is no danger of frost or frigid cold weather. 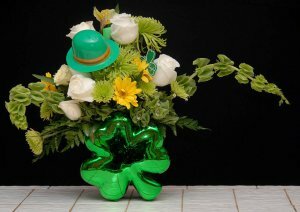 These have got to be the most stunning presentation a Boston florist can display within their shops for this Irish holiday. 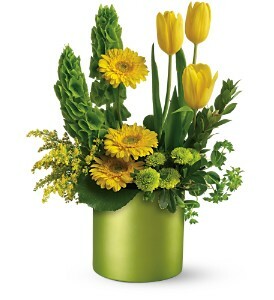 Green calla lilies are both structurally interesting yet unique to most other varieties seen in our coolers during the month of March and require little fuss to design a fabulous floral piece. My favorite species is the Green Goddess that towers majestically and is easily interwoven with other flowers or perfect all by itself for a profound impression. They are available almost year round from farms in Ecuador and have become more and more affordable since growers production levels have increased. You will love how easy these beauties will make your designing efforts as well as the silk smooth texture of their gorgeous petals. Saint Patrick’s Day is one of those holidays where we find ourselves looking forward to celebrating but aren’t exactly sure of where or why the tradition began. For some, it means visiting a local Irish pub, wearing green or searching for a pot of gold at the end of a rainbow. For others, March 17th signifies the beginning of spring and the warmer days ahead while others prefer to associate it with parties with friends and feasts of boiled dinner. While all of these methods are festive and certainly entertaining, isn’t it important to learn the real meaning behind Saint Patrick’s Day? There must be a larger significance besides dying our Ale a bright color green, right? Living in the city of Boston where a significant amount of pride and honor is shown towards Irish history, culture and customs, shouldn’t we take a few minutes to understand the meaning of this holiday? 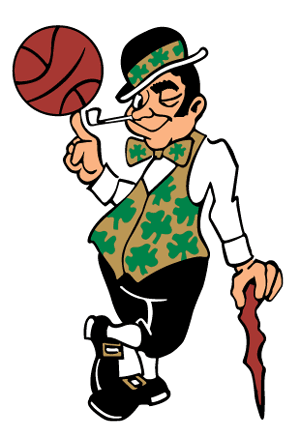 Saint Patrick’s Day is also named “The Feast of Saint Patrick” or “The Day of the Festival of Patrick”. It was first enacted to pay homage to the death date of patron saint, Saint Patrick who was both a bishop and missionary during the 5th century. He was also deemed “The Primate of Ireland” and “The Apostle of Ireland”. As a boy, he was captured from his family by Irish Pirates from his native home of Great Britain and enslaved. Amazingly after several years, Patrick escaped, returned to his family and then moved back to Ireland once he became a cleric. The interesting part of the patron saint’s history was the decision to come back to a country where he was taken against his will in order to better the Irish community. Upon Saint Patrick’s death, the catholic religious sector deemed the day a holy day and lifted bans on drinking alcohol, which eventually led to a strong influence of drinking on this holiday. Other customary attributes include attendance during special masses dedicated towards the saint as well as expressing patriotism to the country of Ireland. 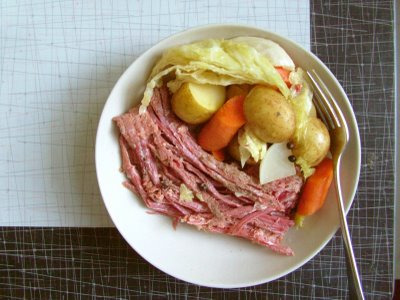 Parades and extravagant servings of traditional foods are also a significant part of the tradition such as corn beef and cabbage with soda bread. Other dishes that are frequently included are stews made with beef and platters that utilize mainly root vegetables. Another interesting custom (that occurs more commonly in the Northeast) is the planting of peas. The reasons surrounding this practice resonate from the color of the plant being green as well as the convenient time of year, which is perfect for generating seedlings. This Saint Patrick’s Day, try something new and think about adding some of the time honored traditions to your holiday agenda! Saint Patrick's Day is one of my favorite holidays. I look forward to my husband's corned beef and cabbage every year. Growing up 100% Italian is quite rare in Boston. I would never trade my heritage for anything. But growing up in Boston also surrounds you with many Irish people and even more Irish customs. My mother, whose parents came from Italy, even cooks corned beef and cabbage every Saint Patrick's Day. This tradition has even carried over to my own family where my wife Suzie, who is part Irish, looks forward to my boiled dinner of corned beef, cabbage, turnip, potatoes, carrots and pearl onions. During Saint Patrick's week at my house, you will hear us reading the chidlren's book Tim O'Toole and the Wee Folk or watching the Janeane Garofalo movie The Matchmaker on TV. 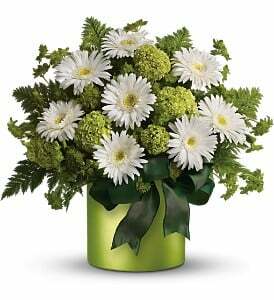 At Exotic Flowers in Boston, we often speak about tradition and creating your own memories. 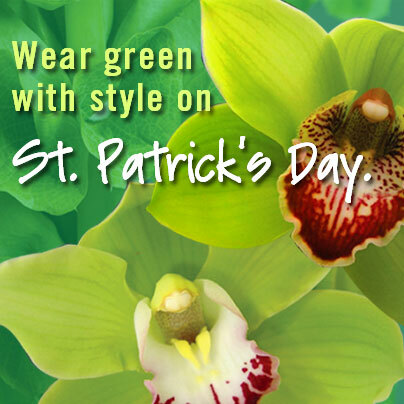 Saint Patrick's Day is an ideal holiday to start your own tradition. 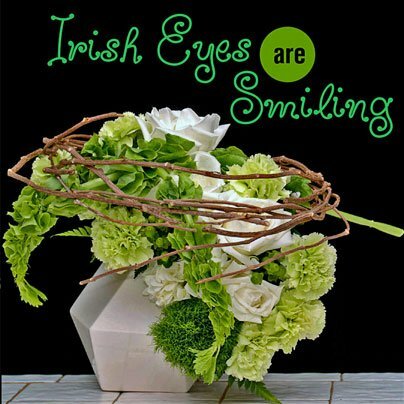 I have witnessed many clients at Exotic Flowers who celebrate St. Patrick's Day by buying green carnations in the Boston area. The green carnation reminds of the green shake from McDonalds. You only see them around Saint Patrick's Day. One client in Wellesley has been sending his wife 24 green carnations every year for more than twenty years, while a company on State Street in Boston has bought more than one hundred green carnations every year for the past ten years. They hand a green carnation to each one of their employees to celebrate the holiday. 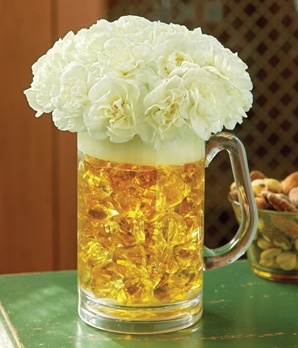 So crack open a Guinness, hand your loved one a green carnation and listen to the Irish Rovers belt out my favorite Irish tune, 'The Unicorn,'.